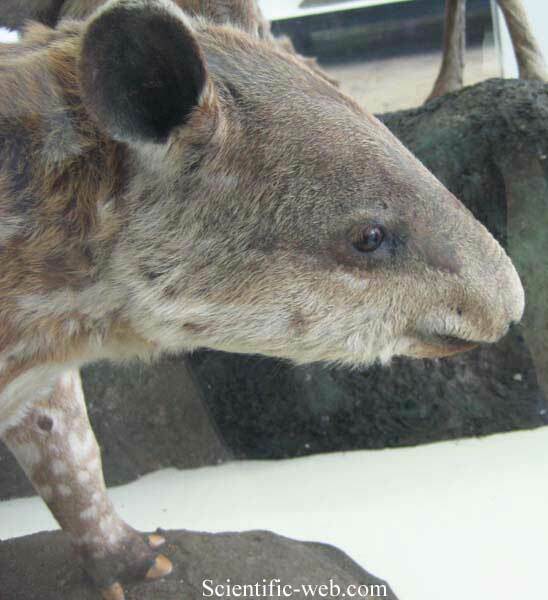 * Tapirus terrestris on Mammal Species of the World. The South American Tapir (Tapirus terrestris), or Brazilian Tapir (from the tupi tapi'ira) or Lowland Tapir or (in Portuguese) Anta, is one of four species in the tapir family, along with the Mountain Tapir, the Malayan Tapir, and Baird's Tapir. It is the largest wild land animal in South America. It is dark brown in color, paler in the face, and has a low, erect mane running from the crown down the back of the neck. The round, dark ears have distinctive white edges. The South American Tapir can attain a body length of 1.8 to 2.5 m (5.9 to 8.2 ft) with a 5 to 10 cm (2.0 to 3.9 in) short stubby tail and 270 kg (600 lb) in weight. It stands somewhere between 77 to 108 cm (2.53 to 3.54 ft) at the shoulder. The South American Tapir can be found near water in the Amazon Rainforest and River Basin in South America, east of the Andes. 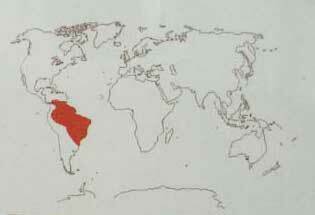 Its range stretches from Venezuela, Colombia, and Guianas in the north to Brazil, Argentina, and Paraguay, in the south, to Bolivia, Peru, and Ecuador in the West. The species are excellent swimmers and divers but also moves quickly on land, even over rugged, mountainous terrain. The species has a life span of approximately 25 to 30 years. In the wild, the main predators of the South American Tapir are crocodilians (only the Black Caiman and Orinoco Crocodile, the latter of which is critically endangered, are large enough to take Tapirs, as the American Crocodile only exists in South America in the far north) and large cats such as the Jaguar and Cougar, which often attack the tapir at night when they leave the water and sleep on the riverbank. They are known to run to water when scared. It is a herbivore. Using its mobile snout, this tapir feeds on leaves, buds, shoots, and small branches that it tears from trees, fruit, grasses, and aquatic plants. The South American Tapir is generally recognized as an endangered animal species, with the species being designated as endangered by the United States Fish and Wildlife Service on June 2, 1970. 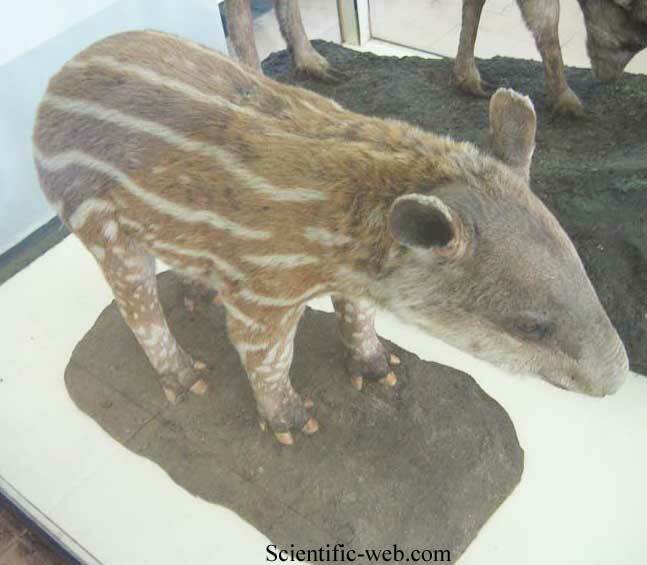 The South American Tapir, however, had a significantly lower risk of extinction than the other three tapir species. 1. ^ Naveda, A., de Thoisy, B., Richard-Hansen, C., Torres, D.A., Salas, L., Wallance, R., Chalukian, S. & de Bustos, S. (2008). 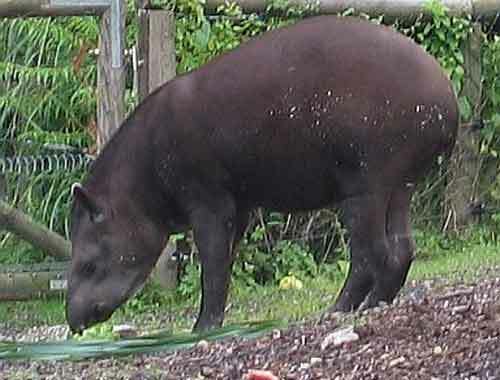 Tapirus terrestris. In: IUCN 2008. IUCN Red List of Threatened Species. Downloaded on 10 April 2009. Database entry includes a brief justification of why this species is of vulnerable.